Tickets to see The Pains of Being Pure at Heart and Fear of Me at the Empty Bottle go on sale this coming Monday (3/3) at 10AM. Presale tickets are available now via the band. Tickets to see Queens of the Stone Age & Chelsea Wolfe‘s second show at the Aragon Ballroom go on sale today (2/28) at 10AM CST. and Kirin J Callinan at the Empty Bottle go on sale today at 10AM. Tickets to see The Faint at Metro go on sale today at noon. 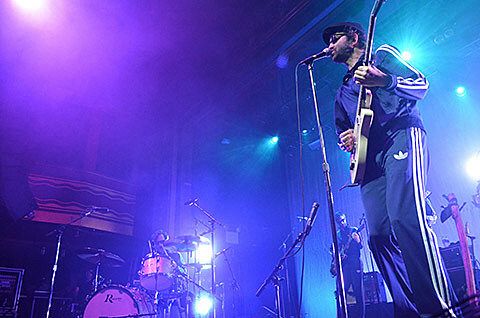 Tickets to see Eels and Chelsea Wolfe at the Vic Theatre go on sale today at 10AM. Tickets to see J Mascis at Subterranean are on sale now. Tickets to see Die Antwoord at the Riviera Theatre go on sale today at 10AM. Tickets to see First Aid Kit at Park West go on sale today at 10AM. Tickets to see Polica‘s two-night stand at Lincoln Hall go on sale today at noon. Tickets to see Tegan and Sara‘s two-night stand at the Vic Theatre go on sale today at 10AM. Tickets to see Basement‘s second show at Subterranean are on sale now.